How lucky are we to have one of the natural wonders of the world right in our backyard? 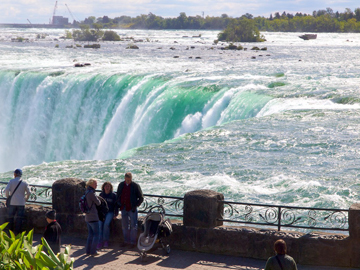 With over one trillion litres of water per hour roaring over the Falls, this close-to-home destination provides majestic beauty and thrills for everyone. Against a backdrop of must-see tourist attractions, delicious dining and historic national parks, it’s hard not to fall head over heels for Niagara Falls. 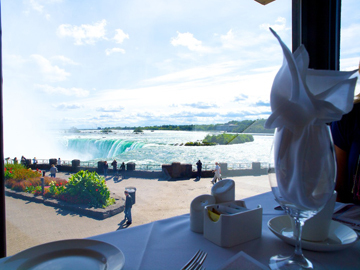 Elements on the Falls Restaurant overlooks the brink of the Horseshoe Falls, putting you right atop the thundering action. Just meters away from the water, your dining experience comes alive as Elements serves the freshest of local ingredients. Price points are moderate, but worth it if you can snag a window seat! 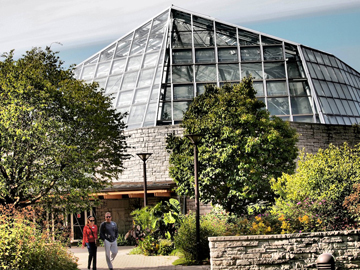 The Niagara Parks Butterfly Conservatory can simply be described as magical. Tour through a lush rainforest as over 2,000 colourful butterflies flutter everywhere you look. If you wear bright colors and stand still long enough, one might even land on you! Pop & Lolly’s colourful confectionery shop has something for everyone. 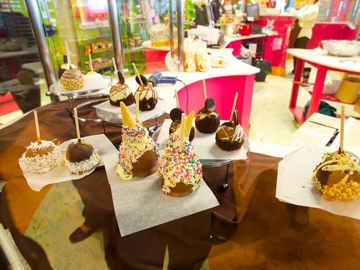 From coconut-glazed candy apples, to chocolate-covered marshmallows, this is the sweet spot. You can even make your own chocolate bar mixed with any candy you want! Mine was a blissful blend of milk chocolate, Reese’s Pieces and Peanut M&M’S. The Marriott Niagara Falls Fallsview & Spa Hotel is located in the newest and most exciting part of town. They’re the closest hotel to the Falls, making their fallsview rooms a sight to behold. Just minutes walking distance from shopping, dining and casinos, it doesn’t get much more convenient. Amenities include a games room, indoor pool and outdoor sundeck, fitness centre and the award-winning Terrapin Grille Fallsview Restaurant.